Perhaps the moon needed stay a bit longer, finding a tiny place on a pocket, to linger through the daytimes. 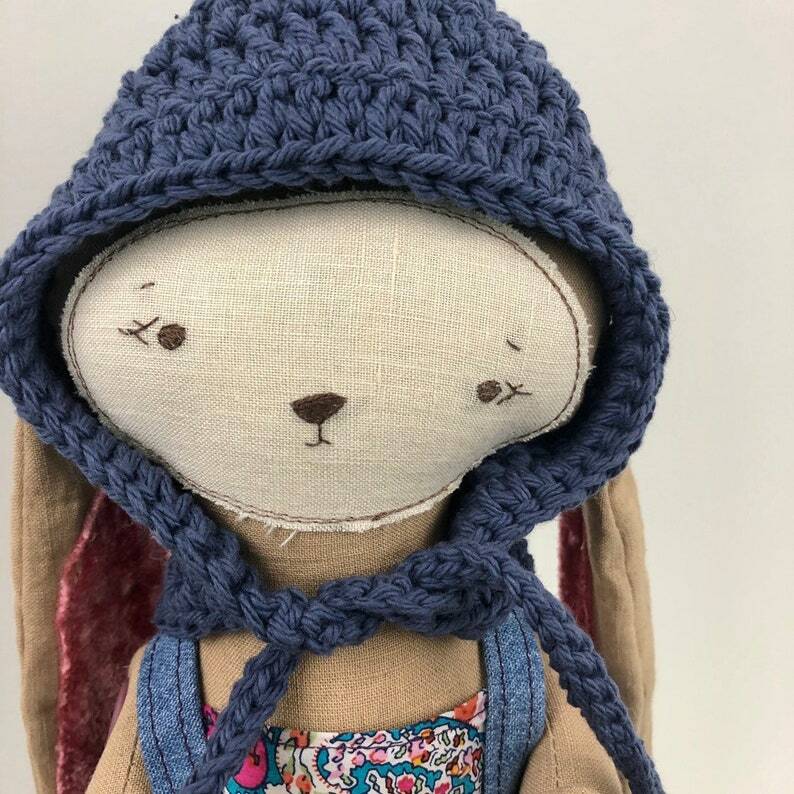 A kind expression has been gently embroidered onto the face of this linen bun, with velvet ears and denim bib overalls. A dark sky blue cotton hoodie with holes to accommodate ears just right will be sent along with bun. Standing straight bun measures 18 1/2” tall. Button joints at arms.